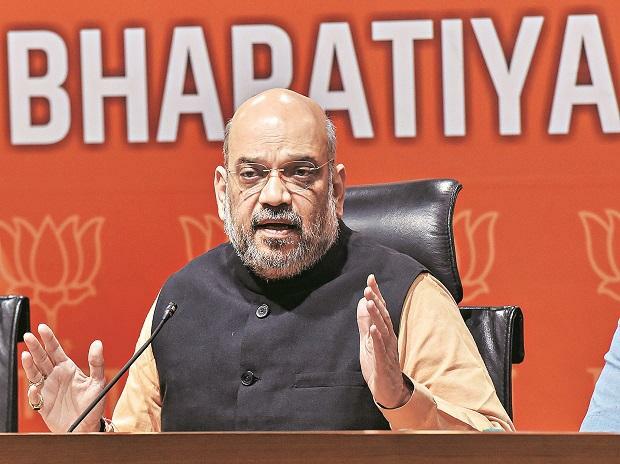 Amit Shah stopped short of saying that the Union government would do so through the tribal affairs ministry, a demand that even the RSS-affiliate Vanvasi Kalyan Ashram (VKA) had made in a rare statement criticising the BJP-led National Democratic Alliance union government. VKA’s statement itself had followed Indian National Congress president Rahul Gandhi’s wrote and told to all party's state chief ministers - Chhattisgarh, Madhya Pradesh, Punjab, Rajasthan and Puducherry - to file a review against the court orders and prevent any eviction. Bhupesh Baghel-ed Congress state government in Chhattisgarh had already acted upon the missive by February 23 to prevent evictions and Kamal Nath-led Congress government in Madhya Pradesh had set up a group of ministers to deal with the fall out of the Supreme Court order. The opposition Jharkhand Mukti Morcha had begun state-wide protests against the BJP government in Jharkhand and tribal groups under the umbrella Campaign for Survival and Dignity had announced country-wide protests on the issue against the central government’s role in the passage of Supreme Court orders. Congress’ lead on the issue, forcing BJP’s hand comes against the February 13 Supreme Court order demanding that states evict all tribals and other forestdwellers whose claims under the Forest Rights Act had been rejected. The court has given time till July to all states to ensure the evictions. The Union government had failed to appear in several hearings on the matter and to defend either the law or argue against summary mass-scale evictions. The Union tribal affairs ministry’s reports indicated that the order would impact around 1.89 million tribal and other forest-dwelling households whose claims to traditional lands had been rejected under the Forest Rights Act. But over the next few days pressure mounted on the BJP to act as, first, the tribal rights groups and civil society, then the Congress and other opposition parties geared up against the Supreme Court orders. After keeping low for the first few days, the RSS-affiliate Vanvasi Kalyan Ashram too joined in the criticism against the NDA government for failing to defend the law and tribals from eviction and then for keeping silent after the apex court orders.